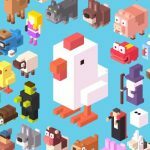 Every now and then, Yodo1 Games will release a new update for the extremely popular mobile arcade game Crossy Road, typically containing a few new characters. For example, one of the more recent updates allowed players to unlock Korean pop sensation PSY of “Gangnam Style” fame (or infamy), as well as a Crossy Dance game mode and leaderboard. The latest update, as it seems, came at a very curious time, rolling out not too soon after Pac-Man 256 arrived. That’s because the update introduces Pac-Man and the ghosts to the world of Crossy Road, and as you can see, that timing doesn’t seem to be an accident. As usual, the only changes with the new characters are cosmetic ones – they don’t have any special skills, strengths, or weaknesses. 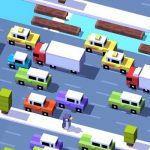 But they’re cool nonetheless, with the usual nod towards pop culture, and our collection of Crossy Road tips and tricks will tell you just how to unlock these new hidden characters. The first thing to do if you want to unlock Pac-Man is to play one round and get killed off quickly. After your character dies, head to the character select menu and go all the way to the extreme right. You’ll be given the option to purchase Pac-Man, but you don’t need to worry about paying a single cent, even if you have to enter your IAP password – you can get him for free. Inky is the blue ghost, and you can unlock him by playing as Pac-Man and searching for the large dots, or the power pellets. Eat 50 of those pellets – you can accumulate those pellets in one game alone, or spread it out over multiple games. As long as you accumulate a total of 50, you’ll get Inky unlocked. As her name suggests, Pinky is the pink ghost, and you’ll have to play as one of the Pac-Man ghosts or as Pac-Chicken. Go for the cherry found in the Pac-Man games the moment you see it, and after your character dies, you can go to character select and unlock Pinky. Again, you can do this while playing as Pac-Chicken or one of the ghosts. Look for Pac-Man as he drives by on the street; his vehicle will replace the police cars. Jump in front of Pac-Man’s vehicle and purposely get run over by the car. That’s all there is to unlocking Blinky, the red ghost. 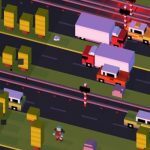 There are more ghosts in the Pac-Man universe than the ones we mentioned, but for this Crossy Road update, there’s a total of four. So right now, we’re down to Clyde, the orange ghost and the last of the four available on the update. Play a game as Pac-Man and look for a power pellet. Gobble it up and eat seven ghosts while it’s still effective. Take note that this has to be pulled off with only one power pellet; using multiple pellets won’t work, unfortunately.